University Hospital Limerick, the medical emergency establishment servicing North Tipperary, had 59 persons waiting for a bed today, with patients forced to sleep on trolleys in corridors. 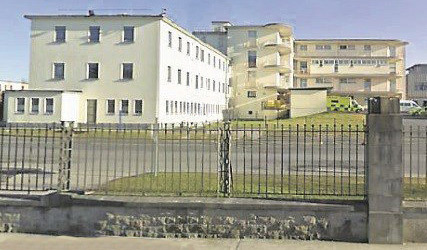 This hospital is once again, singly, the worst affected hospital in the Irish State, through no fault of the staff working under extreme pressure. Meanwhile the national threatened strike by nurses is to go ahead tomorrow, after the Labour Court decided not to make a formal intervention in their current dispute. over low pay and staff shortages. According to the Health Service Executive (HSE), some 25,000 patients will have medical appointments disrupted/cancelled due to tomorrow’s unreconcilable strike action. More than 35,000 nurses, all members of the Irish Nurses and Midwives Organisation (INMO), are due to start their strike at 8.00am tomorrow morning, running for 24-hour. With no serious proposals put forward to resolve this dispute by the current Fine Gael Minority Government; contingency plans have now been put in place by the HSE, latter who reveal that in addition to 13,000 hospital outpatient appointments and 2,000 surgeries also being cancelled, a further 10,400 appointments in community care services will also be postponed. Of the community care cancellations, some 1,500 of same will affect day-care for the elderly, while a further 1,500 will hit day centres for adults with disabilities and another 7,000 primary care contacts will also be cancelled. We understand planned cancer surgery will proceed as scheduled, and an exemption has been secured for disability services in residential units. Tomorrow’s disruption does not include the planned industrial action by 6,000 members of the Psychiatric Nurses Association, who will commence an overtime ban on Thursday; gradually escalating to three full strike days, expected to materialise on February 12th, 13th and 14th, when the Irish Nurses and Midwives Organisation will also be again on strike. How long more can this present government continue to rely on the silence of Irish hard working Taxpayers? Time surely for a clear-out.